CBD or Cannabidiol is one of the 113 cannabinoids (chemical compounds) found in the marijuana plant. Another popular cannabinoid is THC, which is responsible for the psychoactive effect in cannabis. Unlike THC, CBD cannot get you high. This makes CBD an appealing option for people seeking relief from pain and the various medical conditions without experiencing the mind-altering effects of different pharmaceutical drugs or marijuana. Hemp oil has taken over 2018, and it seems 2019 will be an even bigger year for the miracle flower. Hemp oil from the cannabis plant is different from hemp seed oil, as hemp oil contains CBD the active cannabinoid responsible for all the health benefits you’ve been hearing about. Hemp seed oil contains little to no active ingredients, although it contains many fatty acids and is a great addition to a salad! Many people are reporting more and more success stories using this naturally occurring plant and with little to no side effects! Let’s go through 10 benefits of using hemp oil and how it can change your life. Thousands of people are reducing their anxiety levels with thanks to the hemp plant. Making their every day lives easier and more enjoyable. A lot of us have dealt with and suffered with high anxiety levels in this modern fast paced world we live in, Panic attacks are more prevalent than ever. So, it’s no surprise that more and more people are seeing benefits in using hemp oil to help their anxiety levels. The CBD content in hemp oil reacts with our own endocannabinoid system and stimulates feelings of calm, and stress relief. See our full write up on hemp oil for anxiety HERE. Another benefit of using CBD oil is to reduce inflammation around the body. It isn’t quite known how it allows our bodies to reduce the levels on inflammation in them, but the more we are learning about hemp oil and CBD the more we realise that a lot of the benefits of hemp come from its ability to react and manipulate with the CB receptors found in our brain, skin and organs. Hemp oil with active CBD is being used in new face serums and creams. It is thought that the active ingredients can drastically reduce facial dryness to alleviate itching, irritation and maybe even eczema. As if that wasn’t enough, the anti-oxidant and anti-inflammatory properties of hemp oil may even protect against signs of ageing whilst helping to smoothen the skin. When applied topically (as cream should be) it is thought that the hemp works more localised. Similar to helping with anxiety, it can also have an impact on helping people with depression. It works in the same manner, by reacting with the CB receptors in the brain and is thought to enhance the transmission of the 5 – HT1A receptor. The 5-HT1A receptor is crucial in moderating behaviours, moods and anxiety. Is it any wonder by now how this miracle plant could help with pain? The reduction of inflammation allows the body to send more blood to effected and damaged tissue. This increase in blood flow allow more oxygen and nutrients to the area helping with recovery. At the same time the CB receptors are stimulated in the skin, body and brain which allow us to feel more calm, relaxed and reduce the levels of pain we feel. Probably one of the most famous benefits in recent times is its ability to reduce or even stop seizures. It is important to note that in some cases, full cannabis sativa oil has been used which contains a higher level of THC (the compound which makes you high). By acting on the receptors in the brain many people have found relief in using hemp oil to reduce or stop seizures. But it is important to discuss with your doctor which form of cannabis sativa would be best for you. There are new studies being released now, more than ever showing that hemp has the ability to reduce and stop the spread of cancer cells. How it is doing it, as of yet, we don’t fully understand but hemp products have been being used by people undertaking chemo to help with sickness, and appetite for many, many years. Another great benefit of hemp oil is its effectiveness to promote a healthy night’s sleep. Cuddling up in bed at night, whilst your brain and body is getting a healthy dose of CBD to stimulate the reduction of inflammation and promote a balanced mood can really help you feel relaxed and wake up ready to fight the day ahead! Reducing anxiety levels with hemp oil is a great way to end your day and to make sure you have a great night’s sleep! • Prevention – a five-year study showed that people who used hemp oil on a regular basis had fasting insulin levels that were around 16% lower than people who had never used hemp. • Insulin resistance – Although it is unclear how hemp works to treat insulin resistance it is thought it is related to the anti – inflammatory benefits of hemp oil. A lack of inflammation in the body allows the immune system and cardiovascular system to work more efficiently. • Obesity – it is believed that people who use hemp have the ability to burn calories more effectively. It has also been reported that CBD may contribute to the process of fat ‘browning’. This process converts white adipose to brown. White adipose stores calories, brown adipose improves the body’s energy burning capabilities. This is still being investigated as with many more benefits of using hemp oil, but a small study on mice showed that hemp oil stopped the development of social recognition deficit, which is commonly found in Alzheimer’s disease. Hemp oil has also shown huge benefits as a potent anti-oxidant, which means that it has the capability to protect your body from damage caused by free radicals! Including the brain. Hemp oil vs Hemp seed oil. Just remember when choosing a hemp oil that it should contain an active CBD level. 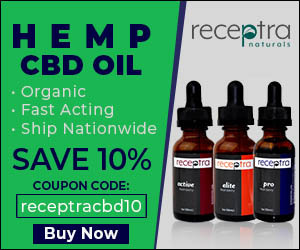 You can always check out our list of approved suppliers who sell the best quality hemp oil products in the USA and the UK. Hemp oil is often referred to as CBD oil, so don’t worry! As long as the bottle says it has CBD inside, you’re good to go. Please remember it is never a good idea to switch medications without consulting your doctor. For any medical purposes to using hemp oil it is always a good idea to consult your doctor. Don’t take anything you read on the internet as medical advice over what you have been told by your own doctor. CBD oil is known to exhibit many effects. From helping reduce anxiety to stopping seizures. In our knowledge centre, we have write ups on the different ways CBD can interact with your body and brain. Inside our skin, brains, and organs we have what is called an ‘endocannabinoid system’.This system is made up of receptors sites CB1 and CB2. When we ingest CBD it reacts within our own bodies system which is what causes the effects of CBD oil. When buying CBD oil or CBD based products. We always recommend following five rules to make sure you’re getting the right products and not false advertised rip offs. To see why we recommend these five rules of buying, read our guide HERE. The common treatments for anxiety and depression disorders are medication, psychotherapy or a combination of the two. However, with more research being carried on marijuana and CBD oil for anxiety and depression, more and more people are opting to forgo these traditional treatments in favour of CBD oil. Thinking of using CBD oil to treat your anxiety? It is crucial that you exclusively analyse research on Cannabidiol, rather than the generalized studies on medical marijuana. Research carried out in 2010 concluded that CBD could help reduce the symptoms of social anxiety in people suffering from social anxiety disorder (SAD). According to the study, CBD altered the way the brains responded to stress in addition to making participants feel better. Brain scans carried later revealed some changes in blood flow to the vital brain regions concerned with feelings and anxiety. In 2014, a research study was published indicating that CBD oil had anti-anxiety and antidepressant properties. An animal model was used in this study. In 2016, a case study revealed that CBD could help eliminate the effects of anxiety-provoked sleep disorder and post-traumatic stress disorder or the PSTD in kids. According to the study, CBD helped reduce the symptoms of anxiety in a young girl with a history of trauma and helped her sleep. How Exactly Does CBD Treat Anxiety and depression? CBD works by activating receptors found in the endocannabinoid system within our bodies (comprised of receptor sites). The sites which are located throughout the body are known as the CB1 and CB2 receptors. CBD is able to interact with the receptors since they are similar to endocannabinoids (molecules found within the body). Although CBD has a low affinity for both CB1 and CB2 receptors, it enhances the transmission of the 5-HT1A receptor. The 5-HTIA receptor is involved during serotonin neurotransmission (a neurotransmitter that plays a crucial role in feelings and mood) It is believed that CBD’s influence on this receptor may play a role in reducing anxiety. This is because, the 5-HTIA receptor site plays a significant role in mediating depressive behaviours, moods, and anxiety. Brain scans often reveal a smaller hippocampus in patients suffering from depression or anxiety. Neurogenesis refers to the formation of new neurons in our brains. Both CBD and selective serotonin reuptake inhibitors or SSRIs are known to boost neurogenesis. This is very important as increased neurogenesis helps reduce anxiety and depressive behaviors. Unlike these drugs, CBD has little to no known side effects since it is a natural compound. Also, CBD lacks psychoactive properties and hence suitable for anyone. However, just like any other medication, you must observe the right dosage when using CBD oil for anxiety. In Case of any complications, it is crucial that you see your doctor for guidance and direction.